After sharing our experiences with you all, it's a good thing to educationally explain some of the concepts and situations that we faced. In this episode, Brandon & Amy Beth lead a discussion on different types of culturally sensitive issues including that of white privilege, redlining, and systemic racism. This topic can be uncomfortable for some people, so we advise bringing your listening & learning ears to the conversation. While this will be our last podcast (for now) on this topic, we highly encourage self-exploration into this topic. A list of resources you can learn from is listed below the Time Stamps. 01:31 - Explaining our Experience / What keeps us from talking about racism? 38:20 - How Can We Move Forward With ALL This? Racism; it’s a buzzword that catches headlines in the never-ending news cycle these days and it’s also something we’ve encountered frequently throughout this journey together. In this first of a two part series, we share our personal experiences individually and as a couple in regards to discrimination based on stereotypes. Important Note: We are risking a lot by sharing our experience in podcast form, so if you're coming to the table to listen, do simply that. Everyone has their right to express their own experiences in their own unique way, and we boldly invite you to the table for a different kind of conversation. Encouraging words and genuine questions are welcome. However, we do not tolerate hate speech or words without thought, so if you have questions, asking them mindfully & try not to dehumanize us in the process. References to historical stories read are included below in the Time Stamps. 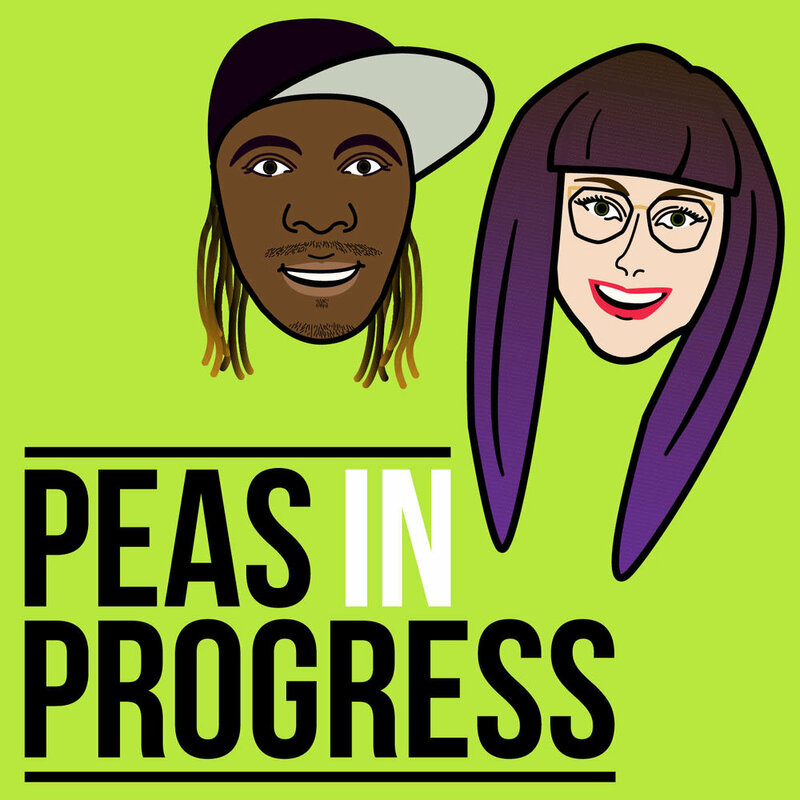 Learn more about Peas in Progress by clicking HERE. Send us feedback and podcast topic ideas: peasinprogress@gmail.com. I bet you’re wondering, “how did you all meet? How did your relationship start?” Well this is that story. From the time we had our first lunch, to the time Amy Beth’s roommate planted the “girlfriend” seed, to the time we got married, and everything in between, this is probably our FAVORITE time in our relationship. Someone want to make a movie out of our lives? It’s pretty action packed. Like this Podcast? Subscribe over on Apple Podcasts to be notified when new episodes are uploaded! Welcome to our FIRST episode! In this one, we'll be laying the foundation of who we are by telling the tales of how we were before we became friends & were married.